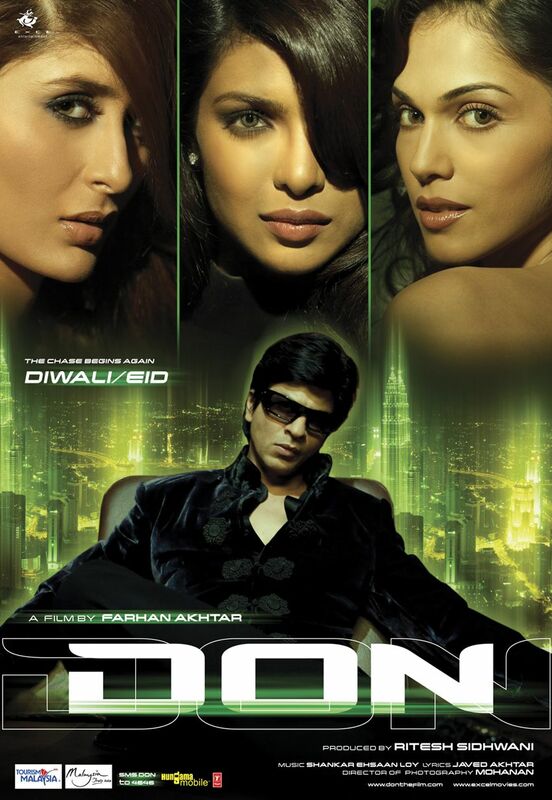 Normally I’m not a fan of remakes since they are generally nowhere near as good as the original, but Farhan Akhtar’s Don is the exception that proves the rule – at least for me. As much as I love the original Don with Amitabh Bachchan, Iftekhar, Helen and co, the remake slickly updates the story and adds a few new twists that make the end at least just that little bit better. 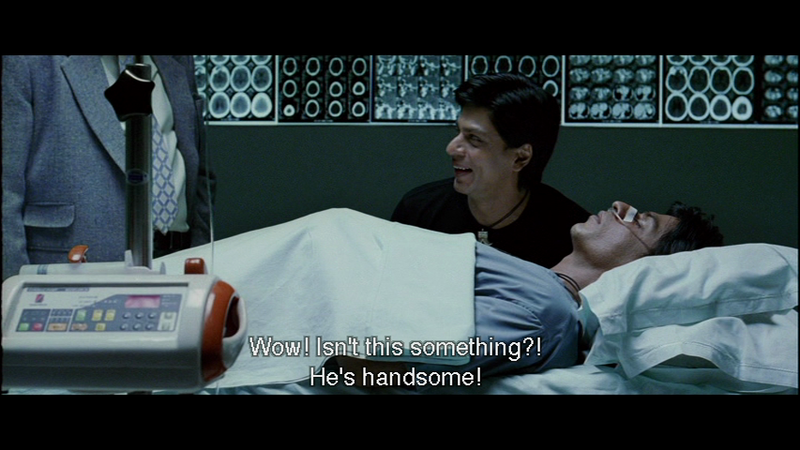 I love Shahrukh Khan when he’s in anti-hero mode, and this is an excellent example of how good SRK can be when he’s being bad. There are a few misses, but overall good casting, clever writing and an excellent soundtrack make Don one of my favourite SRK films. The remake follows the original 1978 Don fairly closely in terms of the screenplay but sets most of the story in Malaysia where Don (Shahrukh Khan) is the ‘most dangerous and cunning criminal’ in an organisation than spans the globe smuggling drugs. Don heads up the Malaysian arm of the gang and works for Singhania ( Rajesh Khattar), the rival of fellow ultra-elusive gang member Vardhaan. 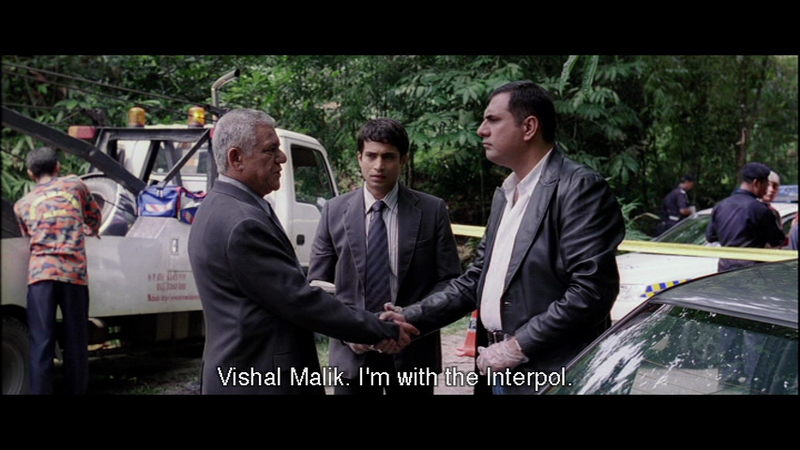 DCP DiSilva (Boman Irani) is on the trail of the criminals along with his colleague Inspector Verma (Sidharth Jyoti) and Interpol Officer Vishal Malik (Om Puri). 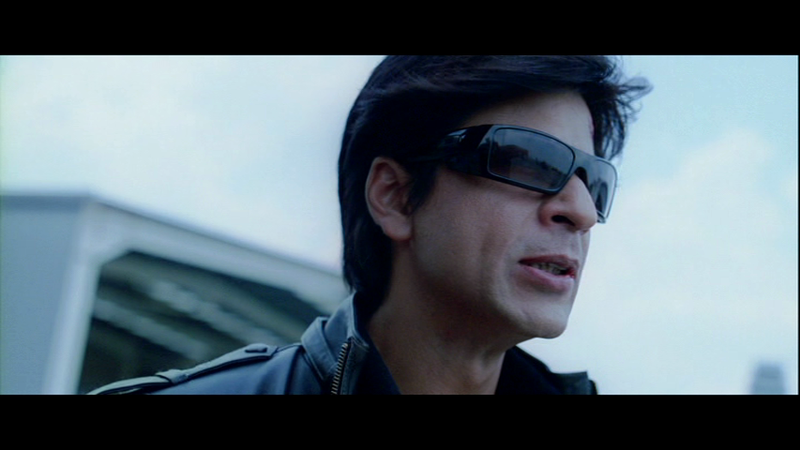 Shahrukh appears to enjoy playing the utterly ruthless and callous Don and he seems to slip effortlessly into evil mode when required. 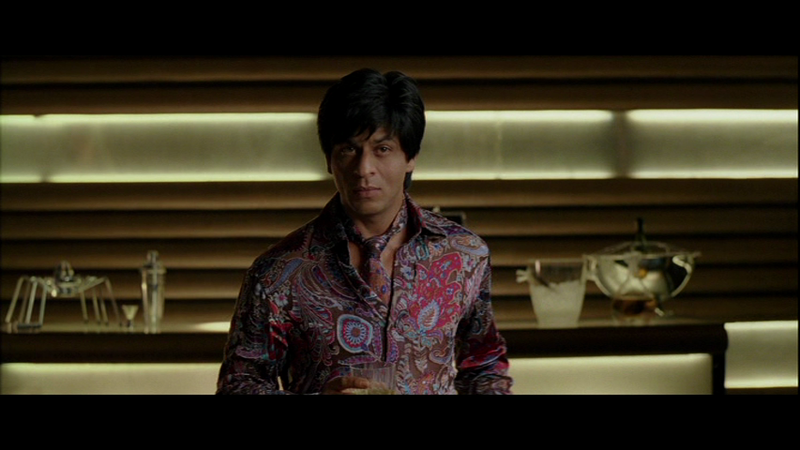 His Don is perhaps a little too flamboyant and his fashion sense is rather quirky (those terrible ties-inside-the shirt! ), but his panache and flair in the opening scenes when he imitates some ballet dancers and then a few moments later causes carnage and mayhem during a drug deal gone wrong is superb. He’s cool, collected and practical when it comes to getting rid of police informers and in dealing with recalcitrant gang members, but does show his softer side to Anita (Isha Koppikar) and a little more uncertainty with fellow gang member Narang (Pawan Malhotra). This shading makes Don more interesting and generates some empathy for what is really quite an unpleasant character at the start of the film. One of the misses is the remake of the classic Helen number Yeh Mera Dil. Kareena Kapoor takes on the role of Kamini, the revenge seeking fiancé of gang member Ramesh (Diwaker Pundir), killed by Don for his disloyalty. Kareena just doesn’t have the vibrancy or class of Helen, and her seduction routine is clinical and passionless as a result. There’s no rage, no thirst for revenge or abhorrence at getting close to the man who murdered her fiancé and it ends up as nothing more than a lot of shimmying in a gold lamé dress. It’s not surprising Don looks somewhat disdainful and fairly unimpressed throughout. Priyanka Chopra is much better as Roma and at least looks as if she is capable of murder. At least up until she actually tries to kill Don at which point she seems to lose her mojo. Still, it’s a good effort and she does well in the songs too, although I think Isha Koppikar takes the honours here – plus who doesn’t love a giant disco mirror ball. Both Priyanka and Isha look stunning and are obviously included to up the glamour quotient, but both do a good job in their roles and appear as strong and confident characters throughout. 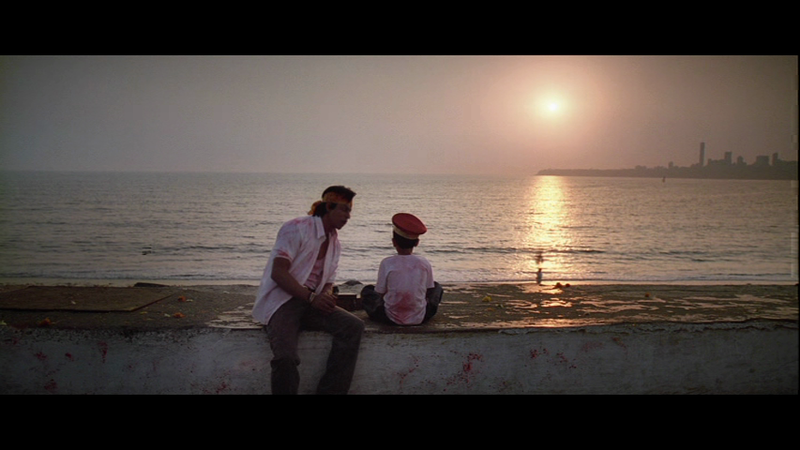 Don is seriously injured and captured by the police during a chase in India which gives DCP DiSilva the opportunity to replace Don with a local entertainer Vijay (also SRK) who is the spitting image of the gangster. 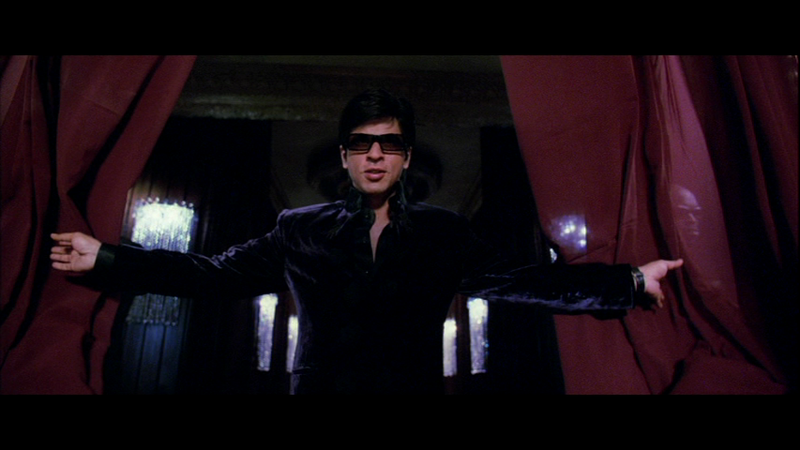 SRK’s Vijay is a tad more sensible than in the original, and Shahrukh makes him a very different character to Don. He even looks quite different, using facial expressions and body movement to emphasize the difference between the two characters – at least up until the surgery to make them both the same. However, since only DiSilva and the fake Don know about the impersonation, when DiSilva is killed during an operation to catch Singhania it all starts to go pear-shaped for Vijay. As well as dodging the police and fooling the gang into believing he is Don, Vijay has to deal with Roma’s attempts at revenge and somehow get a disc with information about the gang to Malik to prove his innocence. Meanwhile Jasjit (Arjun Rampal) is also out for revenge after DiSilva caused the death of his wife, adding more layers to the plot and a means to bring it all to a satisfactory conclusion. The updated film has plenty of high powered car chases and some cool fight scenes which all work pretty well. There are a couple of escapes too – the first is rather unnecessarily convoluted, but the second is fun as it involves Don wrestling one of his gang members for a parachute while plunging to the ground after jumping out of a plane. Now if this had been a Southern Indian film, Don would have had a handy gun and some explosive to deal with the problem, but here he just has to fight it out while the ground spins giddily below and rushes every closer. The film has a great soundtrack from Shankar-Ehsan-Loy which uses two songs and the general theme from the original film. 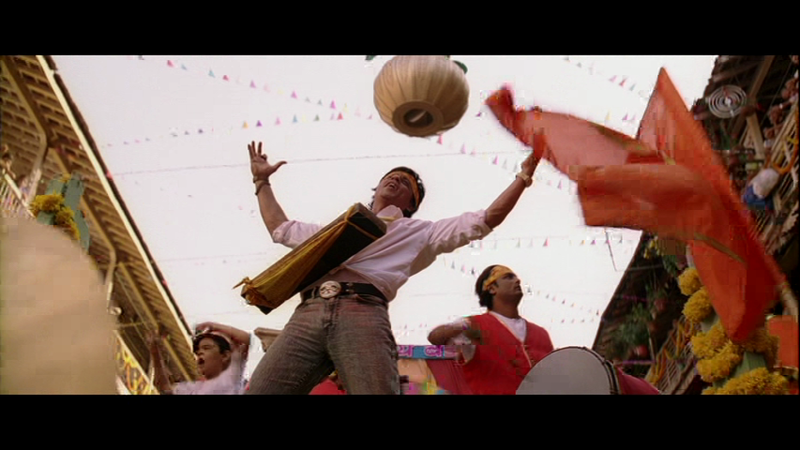 The second remix is Khaike Paan Banaraswala which fares much better than the Helen remake number, and is a lot of fun – I suspect most of the direction here was asking SRK to act goofy and he manages to do so repeatedly! Overall the casting is excellent and the support actors all seem to fit their parts well. 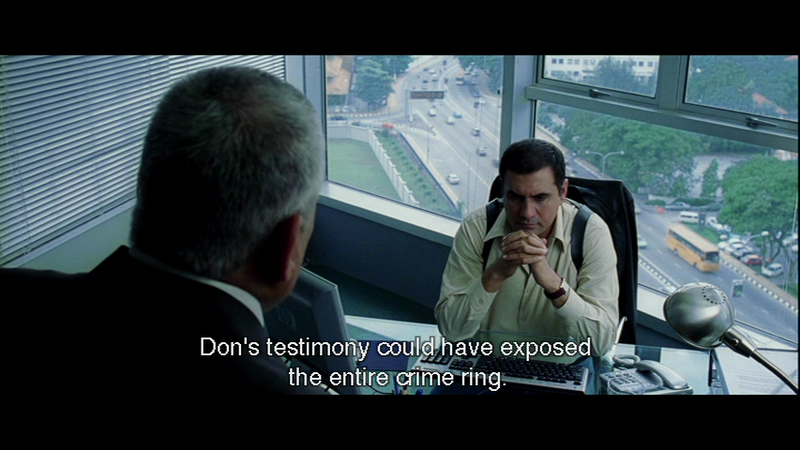 Boman Irani is in sensible mode as DiSilva and he makes a good world-weary cop. I find he can be erratic, depending on the director and is often better in comedic rather than straight roles, but he does an excellent job here and suits the role. Om Puri is a little under used in a role that doesn’t give him much scope, but has a couple of good scenes with DiSilva where he is suspicious of absolutely everyone and he fits that character style perfectly. 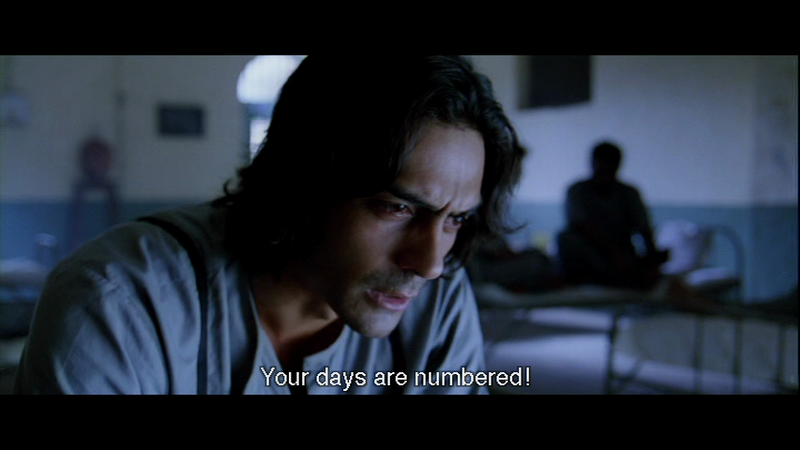 Perhaps most surprising is Arjun Rampal who I remember thinking was much better here than in any of his films I’d seen previously, and puts in an emotionally mature performance as a devastated man out for blood. I went to the cinema prepared to be disappointed in Don and was instead surprised by how much I enjoyed the film, and still love watching the DVD. Expensive production makes the stunts work well and lifts the thrill factor, but none of that would matter without good performances and a well thought out rewrite of the story. The film works for me because of SRK and Boman Irani, but everyone has their part to play in making Don such an entertaining film. 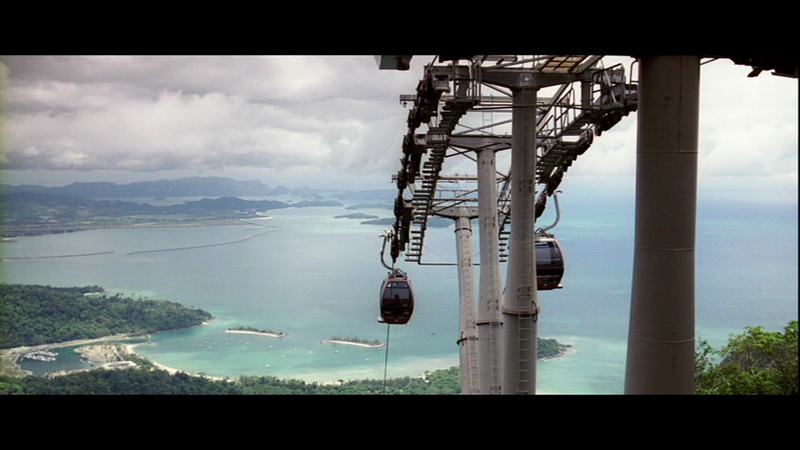 The Malaysian backdrop looks amazing, the soundtrack is great and the dialogue and stunts are brilliant. It may be a remake but it’s a great film in its own right and I love this version just as much as the original. 5 stars! This entry was posted in Bollywood and tagged Arjun Rampal, Bollywood, Boman Irani, Diwaker Pundir, Don, Hindi, Isha Koppikar, Kareena Kapoor, Om Puri, Pawan Malhotra, Priyanka Chopra, Rajesh Khattar, Shahrukh Khan, Shankar-Ehsan-Loy, Sidharth Jyoti, SRK. Bookmark the permalink. Meh. 🙂 Don in its new avatar was too slick, too shiny and too much of SRK trying too hard to fill shoes that are too big for him. I think it was Baradwaj Rangan who said that the earlier Don managed to be ‘cool’ with only Amitabh Bachchan. So I guess we’ll have to agree to disagree. 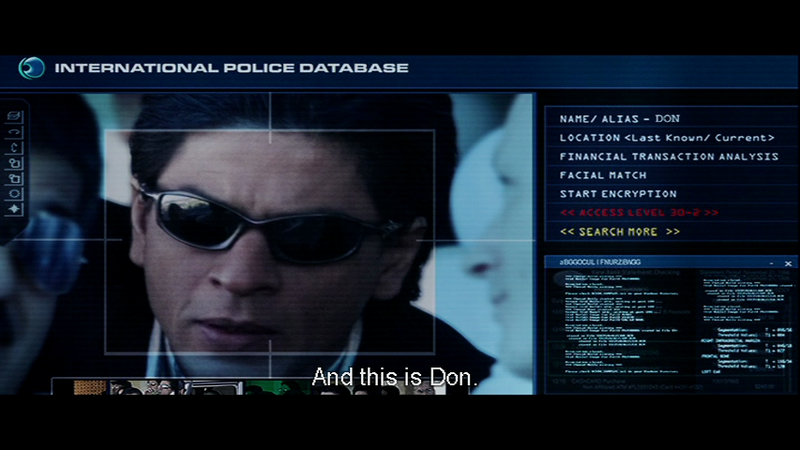 It was SRK who made this version work for me and I like the difference in the 2 portrayals of Don. I re-watched the original before I wrote this review and for me they are quite different in style, so there are things I prefer in the original and other parts I prefer the newer version. Life would be dull if we all agreed all the time! Here’s the review I was talking about.